John Green reviews an ostensible form of currency and a grocery store chain. 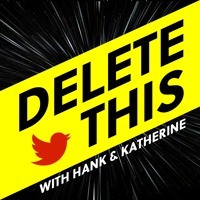 Hello and welcome to the Anthropocene Reviewed, a podcast where we review different facets of the human-centered planet on a five-star scale. My name is John Green, and today I’ll be reviewing pennies, an ostensible form of currency here in the United States, and the grocery store chain Piggly Wiggly. Today’s pennies weigh about a fifth of what the 18th century ones did, and while they’re still coated in copper, pennies are now over 97% zinc, which is cheaper than copper. But even so, every one-cent coin minted in the United States costs 1.82 cents to create. Last year, the U.S. Mint lost 69 million dollars minting pennies. That would be annoying but forgivable if pennies served a purpose in our economy, but they don’t. Money is supposed to facilitate the exchange of goods and services, which pennies manifestly fail to do. You can’t use them in vending machines or parking meters, and if you attempt to use them to purchase goods or services, you’ll often be met with resistance and for good reason; I mean, it requires over two pounds of pennies—or around a kilogram—to purchase a single gallon of gasoline. And yet, every year, the U.S. Mint makes more pennies than all other coins combined, not because we use them so often to buy things, but because we don’t use them. We store them in jars, or leaves them in the terrifying netherworld of our cars’ center consoles. And we throw them away by the million, because pennies do not work as currency. Now there are many arguments in favor of the continued production of the penny. I just don’t find any of them convincing. Some argue, for instance, that in a penniless world prices might go up, and that these price increases would disproportionately affect the poor, who are more likely to use cash in transactions. But in fact, eliminating the penny would not increase prices—we know this because many nations have already retired their penny-equivalents without any problems, from the Netherlands to New Zealand. We would simply begin rounding prices to the nearest 10th of a dollar instead of the nearest 100th of a dollar—assuming had the common sense to also eliminate our five-cent coins, each of which costs 6.2 cents to mint. If anything, this system would benefit those who use cash, because they would spend the same amount of money but no longer have to deal with pennies, which are so easy to receive as change and so difficult to spend. People often resort to cashing out their small-denomination coins via coin-counting machines like Coinstar, which charge an astonishing 12% fee for the privilege of turning your pennies and nickels into money you can actually spend. Other defenses of the penny—that it honors Lincoln, or that it somehow limits inflation—are just absurd. None of the countries that have eliminated one cent coins has seen a corresponding rise in inflation, and why would Abraham Lincoln want to be the face of a coin that is worth negative sixty-nine million dollars per year? The whole thing is ridiculous. But then, righteous indignation at the ongoing existence of the penny is also ridiculous. Sixty-nine million dollars represents a tiny fraction of the U.S. federal budget—like, we spend about 68 million dollars on the military per hour. We have much bigger problems than the penny—the United States is one of the only nations that has seen life expectancy decline in the past two years, despite the fact that we spend more on healthcare than any other country. Our massive economic inequality is inhibiting economic growth and limiting opportunity. Our political systems are far too profoundly influenced by moneyed interests. And eliminating the penny will fix none of that. But our failure to bid farewell to the penny seems to me indicative of a larger political failure: We cannot accomplish simple and obvious things, because there is nothing to be gained politically by accomplishing them. Almost all of our political discourse is focused on issues that can score points and energize supporters. Should this Supreme Court nominee be approved is an issue that can drive donations. Should the penny be eliminated is…not, in part because it’s not very important, and in part because it’s not very divisive. There is of course nothing surprising about the fact that Congress can’t find the political will to eliminate pennies—I mean, if Congress were drowning, it would struggle to pass the Throw Congress Something That Floats Act. The U.S. political system is complex by design—change is supposed to be difficult to enact. But I’m not convinced it should be this difficult. In 1857, the United States was only a few years away from a Civil War. I know 160 years ago seems ancient history, but consider this: Two of the grandfathers of my grandfathers fought in that war, on opposite sides. I know history can feel settled, but we—the results of history—are anything but settled. So right. It’s 1857. Political divisions over slavery are such that a year earlier, an abolitionist senator named Charles Sumner had been beaten with a cane nearly to death in the chamber of the United States senate by a pro-slavery congressman named Preston Brooks, who by the way would go on to be re-elected by his constituents. And yet, even then, as the house divided against itself was learning that it could not stand, the United States Congress passed the Coinage Act of 1857 into law. Among other things, the act eliminated the half-penny, which had become too small a monetary sum to be worth minting. At the time, the half-penny was worth about 12 cents in today’s money. To me, the ongoing existence of the penny symbolizes not only our inability to find common ground, but also our inability to acknowledge the places where common ground already exists. In fact, I think the only vaguely convincing case one can make for the penny is that as a nation, we all share it. No matter where you’re from, or what news outlets you rely upon, no matter your age or race or gender, we can all agree that the continued minting of the American penny is an absolute abomination. Maybe it’s worth sixty nine million dollars a year to have something that we can all dislike together. And anyway, there is something kind of American about putting our best President on our worst coin. I give the penny one and a half stars. In 1920, my maternal grandmother’s father was working at a grocery store in a tiny town in western Tennessee. Like all U.S. grocery stores at the beginning of the 20th century, this one was full-service: You walked in with a list of items you needed, and then the grocer—perhaps my great-grandfather—would gather those items. They’d weigh the flour or corn meal or butter or tomatoes, wrap everything up for you, and then charge it to your account. You’d either wait for the clerk to finish your shopping, or for a small fee, have your order delivered to your house later in the day. Like almost all grocery stores at the time, my great grandfather’s store also allowed customers to purchase food on credit, which the customer would then, usually, pay back over time. That store was supposed to be my great-grandfather’s ticket out of poverty, but it didn’t work out that way. Instead, the store closed, thanks in part to the self-service grocery store revolution launched by Clarence Saunders. Saunders was the self-educated child of impoverished sharecroppers. He eventually found his way to the grocery business in Memphis, Tennessee. He was 35 when he developed the concept for a grocery store that would have no clerks or counters but instead a labyrinth of aisles that customers would walk themselves, choosing their own food and placing it in their own shopping baskets. Prices at Saunders’ self-service grocery would be lower, because his stores would employ fewer clerks and also because he would not offer customers credit but instead expect immediate payment. The prices would also be clear and transparent—for the first time, every item in a grocery store would be marked with a price so customers would no longer fear being shortchanged by unscrupulous grocers. Saunders called his grocery store Piggly Wiggly. The first Piggly Wiggly opened in Memphis in 1916. It was so successful that the second Piggly Wiggly opened three weeks later. Two months after that, another opened—Saunders insisted on calling it “Piggly Wiggly The Third” to lend his stores the “royal dignity they are due.” He soon began attaching a catchphrase to his storefront signs: “Piggly Wiggly: All Around the World.” Of course, at the time, the stores were barely all around Memphis, but Saunders’ business did grow phenomenally quickly: Within a year, there were 353 Piggly Wigglys around the United States. In newspaper advertisements, Saunders wrote of his self-service concept in nearly messianic terms. “One day Memphis shall be proud of Piggly Wiggly,” one ad read. “And it shall be said by all men that the Piggly Wigglies shall multiply and replenish the Earth with more and cleaner things to eat.” Another time he wrote, “The mighty pulse of the throbbing today makes new things out of old and new things where was nothing before.” Basically, Saunders spoke of Piggly Wiggly as today’s Silicon Valley executives talk of their companies—we’re not just making money here. We are replenishing the Earth. Piggly Wiggly and the self-service grocery stores that followed did lower prices, which meant there was more to eat. They also changed the kinds of foods that were readily available—to save costs and limit spoilage, Piggly Wiggly stocked less fresh produce than traditional grocery stores. Prepackaged, processed foods became more popular and less expensive, which altered American diets. Brand recognition also became extremely important, because food companies had to appeal directly to shoppers, which led to the growth of consumer-oriented food advertising on radio and in newspapers, a phenomenon that Saunders understood better than almost anyone—during the late 19teens and early 20s, Piggly Wiggly was the single largest newspaper advertiser in the United States. Of course, lower prices and fewer clerks also meant many people losing their jobs, including my great-grandfather. There’s nothing new about our fear that automation and increased efficiency will deprive humans of work. In one newspaper advertisement, Saunders imagined a woman torn between her long-time relationship with her friendly grocer and the low, low prices of Piggly Wiggly. The story concluded with Saunders appealing to a tradition even older than the full-service grocer, with his protagonist saying, “Now away back many years, there had been a Dutch grandmother of mine who had been thrifty. The spirit of that old grandmother asserted itself just then within me and said, ‘Business is business and charity and alms are another.’” Whereupon our shopper saw the light and converted to Piggly Wiggly. By 1922, there were over 1,000 Piggly Wiggly stores around the U.S. and shares in the company were listed on the New York Stock Exchange. Saunders was building a 36,000 square foot mansion in Memphis and had endowed the school now known as Rhodes College. But the good times would not last: After a few Piggly Wiggly stores in the northeast failed, investors began shorting the stock—betting that its price would fall. Saunders responded by trying to buy up all the available shares of Piggly Wiggly using borrowed money, but the gambit failed spectacularly, and Saunders lost control of Piggly Wiggly and went bankrupt. His vitriol at Wall Street shortsellers presaged contemporary corporate titans just as his reliance on big advertising and hyper-efficiency did. Saunders was by many accounts a bully—verbally abusive, cruel, and profoundly convinced of his own genius. After losing control of the company, he wrote, “They have it all, everything I built, the greatest stores of their kind in the world, but they didn’t get the man that was father to the idea. They have the body of Piggly Wiggly but they didn’t get the soul.” Saunders quickly developed a new concept for a grocery store—this one would have aisles and self-service but also clerks in the meat department and the bakery—basically, a contemporary supermarket. In under a year, he was ready to open, but the new owners of Piggly Wiggly took him to court, arguing that the use of the Clarence Saunders name in relation to a new grocery store would violate Piggly Wiggly’s trademarks and patents. In response, Saunders defiantly named his new grocery store The Clarence Saunders Sole Owner of My Name Store, perhaps the only business name worse than Piggly Wiggly. And yet, it succeeded tremendously, and Saunders made a second fortune as Sole Owner stores spread throughout the South. But within a few years, the Sole Owner stores were crushed by the Depression, the football team was out of business, and he was broke again. Meanwhile, the soulless body of Piggly Wiggly was faring quite well without Saunders—by the supermarket chain’s height in 1932, there were over 2,500 Piggly Wigglys in the United States. Even today, there are over 600, mostly in the South, although like many grocery stores, they are struggling under pressure from the likes of Wal-Mart and Dollar General, which can undercut traditional grocery stores on price partly by providing even less fresh food and fewer clerks than today’s Piggly Wigglys do. These days, Piggly Wiggly ads tend to focus on tradition, and the human touch. One North Alabama Piggly Wiggly TV spot from 1999 included this line, “At Piggly Wiggly, it’s all about friends serving friends,” a call to the kind of human-to-human relationships that Saunders ridiculed in that Dutch grandmother ad. The mighty pulse of the throbbing today does make new things out of old—but it also makes old things out of new. Today, food prices are lower relative to average wage than they’ve ever been in the United States, but our diets are often poor—the average American ingests more sugar and sodium than they should, largely because of processed, prepackaged foods. As for Clarence Saunders, he spent decades after his second bankruptcy trying to launch a new concept called the Keedoozle, a totally automated store that looked like a massive bank of vending machines and involved purchasing food with almost no human-to-human interaction. He was also one of the first businesspeople to spend private money on newspaper advertising for political candidates—running ads, including virulently racist ones, for his preferred gubernatorial candidates. But Saunders never made a third fortune. He died at the Wallace Sanitarium in 1953, at the age of 72. One obituary opined, “Some men achieve lasting fame through success, others achieve it through failure.” Saunders was a huckster. He committed securities fraud. He helped usher in an era of food that fills without nourishing. He was also a genius ahead of his time who understood the power of branding and efficiency. But mostly, when I think of Piggly Wiggly, I think of it swallowing up the small-town grocery stores only to be swallowed itself by the likes of Wal-Mart, which will in turn be swallowed by the likes of Amazon. Joyce called Ireland the sow that eats her farrow, but Ireland has nothing on American capitalism. I give Piggly Wiggly two and a half stars. 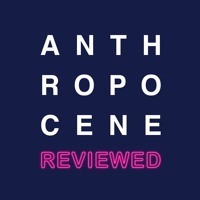 Thanks for listening to The Anthropocene Reviewed, which was written by me and produced and edited by Rosianna Halse Rojas, Stan Muller, and Jenny Lawton. Thanks also to Gus, who suggested the penny as a topic for review, and to Sarah Urist Green, who suggested Piggly Wiggly. If you’d like to suggest a topic for review, or just say hi, please email us at anthropocenereviewed at gmail dot com, or you can find us on twitter, or facebook. We read every comment. My favorite fact that didn’t make it into today’s reviews: My grandmother, Billie Grace Goodrich, loved the now-closed Piggly Wiggly in Mountain Brook, Alabama so profoundly that I can feel her judging my review from beyond the grave, and actually, you know what, alright. Three stars. Thanks again for listening; we leave you today with the sound of that 1999 Piggly Wiggly commercial. "My mama taught me how to shop at Piggly Wiggly"
"We're the original self-service supermarket opened 1916"
"Piggly Wiggly appreciates my business"
"Always downhome down the street"
"There are savings in every aisle"
"At Piggly Wiggly it's about friends serving friends"